You might want to buy a TP Link router. With great choices of TP Link products available, you are sure to find exactly what you are looking for. Here you will find the latest discount codes and special offers to help you save money. Shopping for cheap TP Link routers online can be a bit challenging when you are on a tight budget. Save as much as 50% when you buy from Argos, Amazon, Currys PC World, and other UK sellers. Purchase the TP Link items that you need from the retailer you trust. Get all the best TP Link deals here at Latest Deals! TP Link is a Chinese line of brand manufacturing computer networking products. 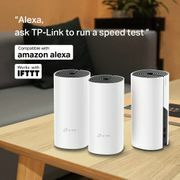 TP Link Technologies Co., Ltd. products include wireless routers, mobile phones, ADSL, range extenders, routers, switches, IP cameras, powerline adapters, print servers, media converters, wireless adapters, power banks, and SMART home technology devices. It's easy to use and setup. 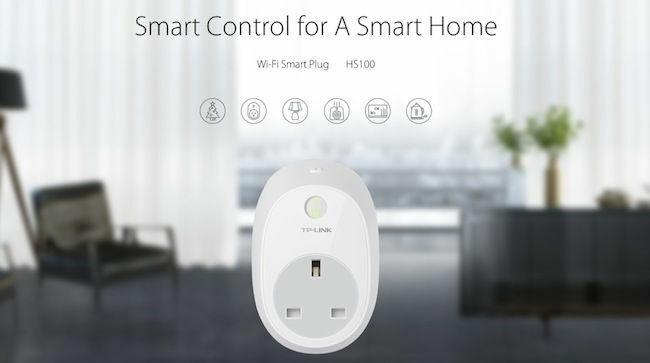 You can remote control the smart plug even when you are not at home, from your smartphone. You can use it to save energy and lower your electricity bill. It offers useful features like Away mode or the schedule for its operation. It is integrated with Amazon Alexa and Google Assistant. TP-LINK's cloud-based ecosystem lacks security features like two-step verification. Also, there's no PIN or fingerprint protection for the Kasa for Mobile app. TP-Link did make it easy to see status and use a manual on/off button, by putting them all together and on the front. The separate Wi-Fi network LED and power indicator are part of the on/off button. There’s also a tiny, easily reachable pair/reset button on top. On the other hand, TP-Link’s products can’t be integrated into broader smart home systems by way of a Samsung SmartThings hub or the Wink Hub 2. The absence of compatibility with Apple’s HomeKit ecosystem is less surprising than the fact the HS110 doesn’t work with IFTTT, either. This smart plug is bulky, preventing use of both outlets in a two-up fixture. TP-Link offers a more compact version, the HS105, that does allow use of a second outlet while it's plugged into the first, but it’s a little bit more expensive and doesn’t support energy monitoring. 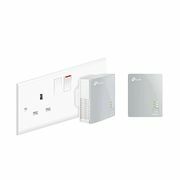 Here at Latest deals you will find the best deals and cheapest TP Link UK. Find great deals, special offers, price drops, and bundles on a wide selection of cheap TP Link products. From TP Link smart plug to TP Link wifi router, you are sure to find the cheapest powerline adapter. 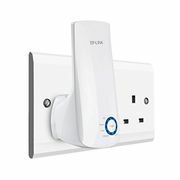 Find all the best TP Link smart plug UK offers including TP Link smart plug HS110 and so much more!